I closed the door and sighed. Another date over for this introvert. Technically, there wasn’t anything wrong with him. We’d had a fine-enough time noshing Thai food in a trendy downtown restaurant. We listened to some of the same bands, both liked reading sci-fi, and each had two cats. But just like all the others, something was missing. Would I ever meet someone I clicked with? 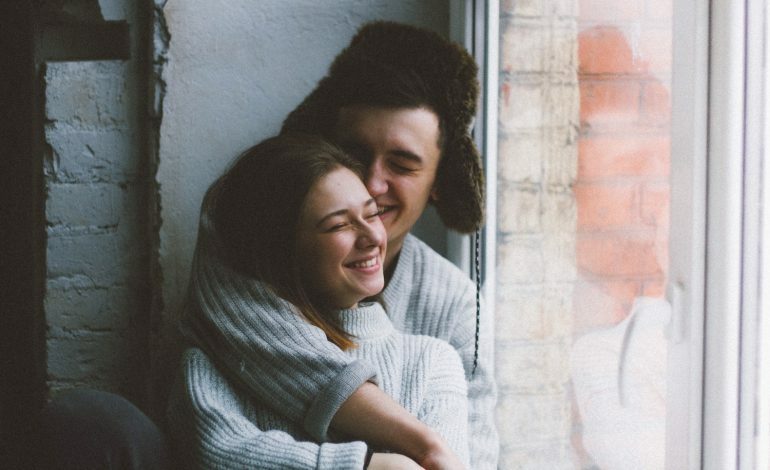 Finding “the one” isn’t exclusively an introvert problem, but we introverts face certain challenges that extroverts don’t. For one, it’s exhausting for us to constantly put ourselves out there. Add to that our dislike of forced socializing, penchant for quiet, and strong need for meaningful interaction, and finding a partner can feel downright impossible. I can’t speak for every “quiet one,” but here are nine secrets about dating an introvert, based on my experiences and the experiences of introverts I interviewed for my book. 1. Just because we’re not making the first move doesn’t mean we’re not dying to talk to you. When I saw someone I was interested in, usually the best I could muster was a smile and some intense eye contact from across the room. I know, it’s easier to get away with this tactic when you’re a woman and traditional dating etiquette says the man should make the first move. But often, guys didn’t pick up on my hints. I’d drive myself crazy trying to work up the courage to walk over to him — and then what would I even say? Usually any attempts at this ended in me mumbling some small talk, then giving up. If you know you’re dealing with an introvert, don’t discount our subtle signals. Whether it’s the first date or our ten-year wedding anniversary, we probably won’t broadcast our interest and affection as loudly as extroverts — but that doesn’t mean it’s not there. 2. We’d take one small moment of connection over someone who does all the “right” things. Many introverts are intensely interested in meaning. We crave interesting, thoughtful conversation. Some of my favorite “dates” were not actually dates at all, but simply times when the stars seemed to align and I made an authentic connection. Like the time I dragged myself to an extroverted friend’s birthday party at a noisy, crowded dance club (ugggggg) and ended up finding a fellow introvert who also didn’t want to be there. We talked all night, making fun of our drunk friends writhing on the dance floor, and he kissed me when he walked me back to my car. When you’re dating an introvert, worry less about doing all the right things, like texting at the right time, saying the right thing, or dividing up the check properly. Instead, dive deep and focus on making an authentic connection. Show us your inner world — what you’re passionate about, what you’re scared of, and how you’re really doing. Introverts aren’t looking for simple give-and-take interactions. We’re looking for a connection that is mind-to-mind..
3. We need time to open up. In my mind, the first three dates were usually a wash. Meaning, my date didn’t really see the real me. I was one big ball of nervous awkwardness. Private by nature, many introverts just don’t feel comfortable talking about themselves to people they don’t know well. If you’re dating an introvert, give us time to open up. Soon enough, our quirky humor, thoughtfulness, or altruistic nature will shine through. 4. If we’re ready to call it a night earlier than you are, that doesn’t necessarily mean we’re not into you. Dating, like all social interactions, drain our limited supply of “people” energy. I’ve been on dates where I really was enjoying myself, but soon, that dreaded introvert hangover struck. I got tired, glazed-over, and snappish; my words weren’t coming out right anymore. If you’re dating an introvert, don’t take it personally when we retreat to the comfort (and quiet) of our home. Dating can be draining for anyone, but for introverts, who get easily overstimulated because of the way their brains respond to dopamine, it can be downright exhausting. Give us some time alone, and like a dehydrated flower that’s been watered, we’ll perk back up. 5. We’re not going to be that person who goes to every party or event with you. And you have to be okay with that. We can be social, but for us, it’s all about dosage (see #4). That means saying no to some social events. 6. Honestly, words are hard. At times, it can be hard for us to get our thoughts and feelings out. That’s because introverts tend to struggle with word retrieval. The thoughts bounce around in our heads, but because we’re so internal, they don’t make it past our lips. At least, not as eloquently as they sounded in our minds. 7. Want to impress us? Feed our intellectual side. Some of my favorite dates have been to plays, concerts, and art installations. Feed our intellectual side, and our hearts will follow. 8. We may struggle with things that aren’t an issue for you. Many introverts, especially highly sensitive introverts, have unique needs that may not make sense to other people. For example, I hate spending the night at other people’s houses. It takes me awhile, even in a committed relationship, to want to do this. Whether it’s because I can’t control my environment well or the “newness” of it is overstimulating, I’m not sure. But it’s something I’ve always struggled with, even as a kid when I got invited to friends’ sleepovers. If you’re dating an introvert, please respect our boundaries — even if they are around things that you don’t struggle with. They are valid challenges for us. 9. If you’re in our life, you mean the world to us. If we’ve made it past that awkward dating phase and have entered committed-relationship territory, you’re special to us. Even if the relationship doesn’t end in happily ever after, trust me when I say it will matter to us. It takes a lot of energy for introverts to meet and get comfortable with new people. We have to stretch ourselves and step waaaaay out of our comfort zone. As a result, everything — both the good and the bad — takes on 10x more meaning. What’s Really Going on When the Introvert You’re Dating Says, “I Need Space”?